May is National High Blood Pressure Education Month. About 1 in 3 or 2.7 million North Carolina adults have been diagnosed with high blood pressure by a health care professional. Another 1 in 3 may be at risk for high blood pressure. High blood pressure causes or contributes to at least 1 in 4 deaths in North Carolina each year. High Blood Pressure Education Month aims to save lives by increasing awareness and educating the public about cardiovascular risks and how to prevent them. By encouraging everyone to take at least one heart healthy action today, we can raise awareness of and potentially reduce high blood pressure across the state. Getting your blood pressure checked for the first time this year, asking someone you love to get their blood pressure checked or even going for a long walk can help. By coming together and taking action, we hope to help North Carolinians get, and keep, their blood pressure under control and reduce their risk for heart attack and stroke. Diabetes NC – People who have diabetes are at a higher risk for developing heart disease. QuitlineNC – Quitting tobacco reduces risk of high blood pressure and stroke. Heart Age Calculator: For more info, click here. Eat Smart, Move More, Weigh Less – Reducing blood pressure can save your life. Learn how this program can help you gain blood pressure control. My Eat Smart Move More – Click here to learn how to reduce blood pressure by eating smart and moving more. QuitlineNC – Quitting tobacco can reduce your risk of high blood pressure and stroke. QuitlineNC can help. 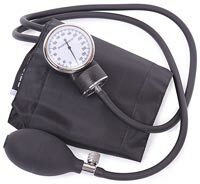 Self-Monitoring Blood Pressure Video – Learn proper protocol for taking blood pressure correctly and accurately using an automatic blood pressure device.